Paducah Head Start Director Kristy Lewis received the 2019 Nancy Lovett Spirit/Award of Excellence from the West Kentucky Association of Early Childhood Education on April 13. The award is presented annually to an individual who has achieved excellence in “Helping to promote a positive impact on young children in Western Kentucky”. Lewis has served as director of Paducah Head Start since 2013. During her tenure, she has has been active in maximizing and supporting School Readiness and Developmentally Appropriate practices in all early childhood settings and has emphasized the importance of active parent engagement in early childhood programs through a variety of ongoing learning experiences for parents and children. "I am so proud of Kristy and her dedicated work in early childhood education," said Calloway County Early Childhood Regional Training Director Nancy Lovett. "She deserves this award of excellence for going the "extra mile" in providing high quality programs for children and families." Paducah Public Schools has been honored with the Best Communities for Music Education designation from The NAMM Foundation for its outstanding commitment to music education. The Best Communities for Music Education designation is awarded to districts that demonstrate outstanding achievement in efforts to provide music access and education to all students. To qualify for the Best Communities designation, Paducah Public Schools answered detailed questions about funding, graduation requirements, music class participation, instruction time, facilities, support for the music program, and community music-making programs. Responses were verified with school officials and reviewed by The Music Research Institute at the University of Kansas. Kinvolved is the original education technology solution to absenteeism. We're pleased to partner with Kinvolved as educators and families work together prevent chronic absence and student disengagement! Kinvo messages may cover many messages, including attendance, homework, and school events. To see a Parent FAQ on Kinvolved, click "More". 1. Consult with your child’s healthcare provider to ensure that these vaccines have been given to your child, or make an appointment with your healthcare provider, Purchase District Health Department or your local Baptist Health School Clinic to begin the vaccination series. 2. Obtain an updated Kentucky Immunization Certificate from your provider. 3. Turn in a copy of a current Immunization Certificate to your child’s school. 1. Consult with your child’s healthcare provider to ensure that these vaccines have been given to your child, or make an appointment with your healthcare provider, Purchase District Health Department or your local Baptist Health School Clinic for your child to receive the vaccine(s). If your child has not previously received a dose of the vaccine and is age 16 or older, only one dose is required. Please call Renee Barnhill, District Health Coordinator, with any questions 270-444-5780 ext. 8516. 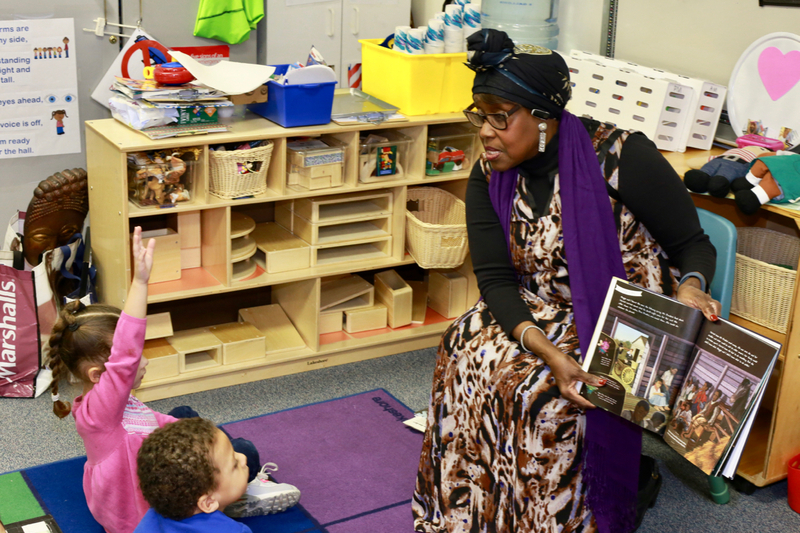 We appreciate the 27 community members (including writer, inventor, and graphic artist Herb Martin and social worker Olivia Burr) who will be visiting Head Start preschool this month to read with students about the lives of famous African Americans. Thank you! As this school day draws to a close, the Paducah Public School District is heartbroken over the tragic event that occurred at Marshall County High School this morning. We express our deepest sympathy to the students, faculty and staff of Marshall County Schools and all of our neighbors in Marshall County. We are grateful to the Paducah Police for their protective presence. As soon as the news broke, Paducah Police dispatched officers to our schools as a precautionary measure. Our staff and administrators in all buildings went on a coordinated, heightened alert to ensure the safety of our students. We know that your children may be upset and anxious. Please know that our guidance counselors and counselors from Four Rivers Behavioral Health will be ready and available in the coming days to give support and guidance to our students. Beginning, Monday July 17, parents and guardians can drop by the Head Start Building at 1350 South 6th Street to complete the forms needed for registration. Office hours are Monday - Thursday, 8:00 a.m. - 4:00 p.m. and Friday, 8:00 a.m. - 11:00 a.m. The McCracken County Early Childhood Council is hosting a Kindergarten Ready Fair on Saturday, March 18 from 9:30 – 12:00 at Haws Gym on the campus of West Kentucky Community and Technical College. This is a free event for families who are interested in learning about starting Kindergarten in Paducah and McCracken County. Many local businesses, schools and organizations will have information booths at the event giving families information about their programs and services. There are 5 domains of school readiness that the Council focuses efforts on. These domains are General Knowledge and Math; Health and Well-Being; Social Emotional Development; Language and Communication Development; and Approaches to Learning. Each of these 5 domains will be featured at a booth with a hands-on activity at the Kindergarten Ready Fair on March 18. Beginning with the upcoming school year, children entering kindergarten must be five years old on or before August 1. Up until now, the cutoff was October 1. Parents and guardians may request an early enrollment option for those students not meeting the entry age requirement. 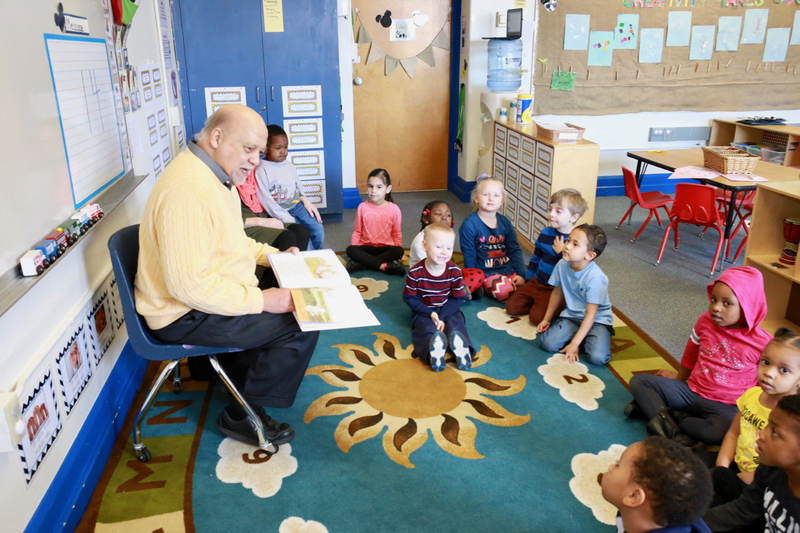 Schools will have an evaluation process to determine the child’s readiness for school. Specific questions about kindergarten enrollment and the district’s early admission policy should be directed to the elementary school the student will attend: Morgan (270-444-5760), McNabb (270-444-5750) or Clark (270-444-5730). Click "Read More" for additional resources. Paducah Public Schools achieved three firsts in the Kentucky Department of Education’s Kentucky School Report Card for 2015 -16: The district was classified as “Proficient”, and Paducah Tilghman High School and Clark Elementary were classified as “Distinguished” for the first time under the Kentucky Department of Education (KDE) Unbridled Learning Accountability System, which has been in place since 2011-12. The overall score for the district was 67.4 for 2015-16, an improvement of 3.9 points over the 2014-15 score of 63.5. The score met the Annual Measureable Objective (AMO) set by the state. 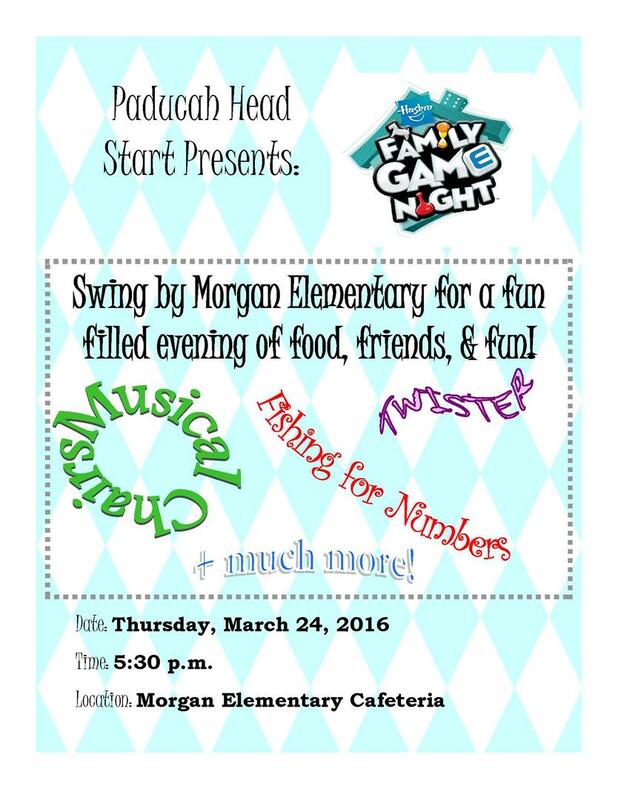 Head Start is having a family game night next Thursday, March 24th at 5:30 p.m. at Morgan in the Cafeteria. Dinner will be served & then we will begin with games. We will have 3 games around the outside of the cafeteria- fishing for numbers, Twister, & musical chairs & lots of board games set up on tables for families to play. Teachers will be there to assist as well as help relate these games to math. Inclement weather routes are used when it's safer for buses to run a flatter route and avoid hills. When inclement weather bus routes are used, students will be notified by via all call, the district web site, radio, and television. For the Paducah Board of Education, Monday night was all about the successes of the district's youngest and oldest students, those getting ready to leave for college, as well as those who are just getting started. The 2014-15 school calendar has been revised to include make days from last week's snow storm. The last day for students will be Friday, May 29, 2015 and Closing Day for staff will be Monday, June 1, 2015. To see the updated calendar, click here. Head Start students have been visiting the Challenger Center to participate in the "Rockin' Rockets" program. In the program students learn about rocket basics, see a "live" launch in mission control, and do hands on projects. Head Start students received their 150th District Anniversary t-shirts this week. You can view photos here. Photo of the Day: Community Health Fair is a Treat!